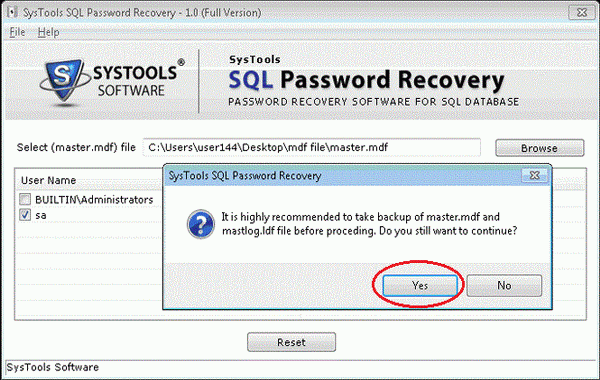 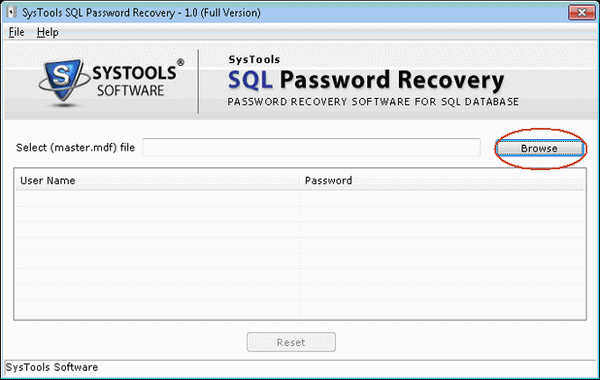 Your first step is recover lost SQL Server password by going to Start menu » Programs » SQL Password Recovery Software. 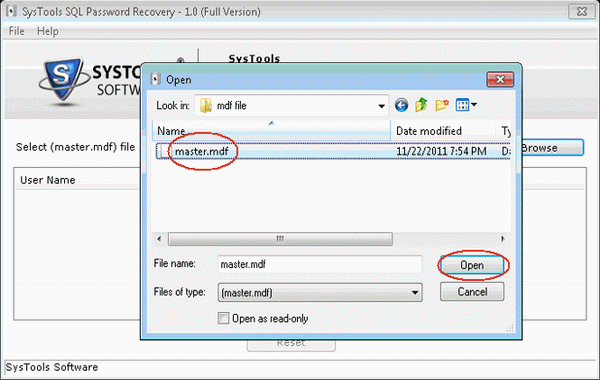 Now you can choose that particular Master .mdf file. 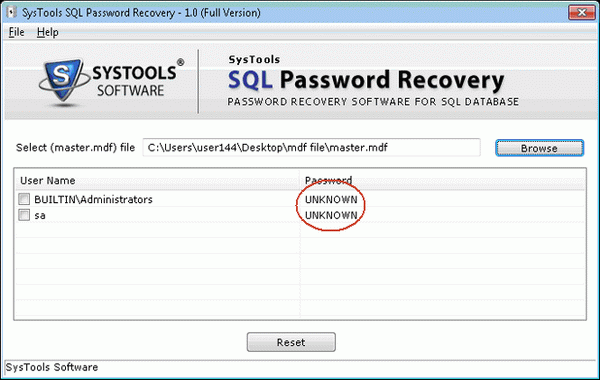 The User Name and Password information will be enlisted in the panel of the window and then click on Open button. 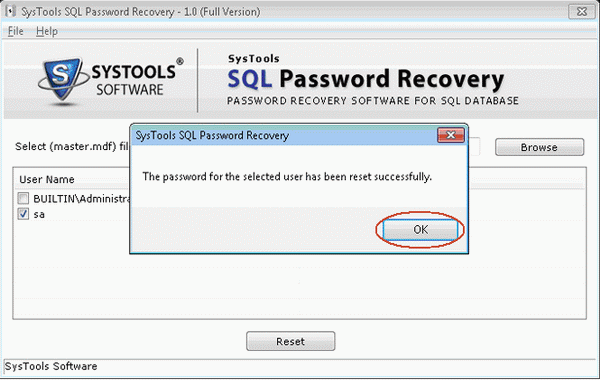 Empty stands that no password and you can login to their account without password.